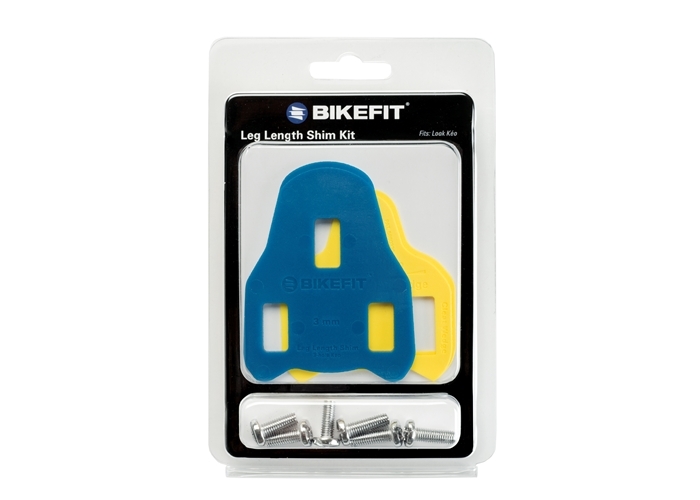 1-Pack 3mm Look Keo Leg Length Shim with Look Keo cleats. Look Keo Leg Length Shims (LL Shims) are used to compensate for leg length discrepancies with Look Keo cleats. Look Keo Leg Length Shims (LL Shims) are used to compensate for leg length discrepancies with Look Keo cleats. This 3 mm LL Shim is made of high-density plastic to conform to the curve of the sole of the shoe. Multiple Keo LL Shims (sold separately) may be used together.